Carolina Exteriors is the Raleigh Triangle area’s trusted partner for James Hardie® Hardieplank siding and trim installation, replacement windows, entry doors, roofing and painting services. As a professional Exterior Remodeling firm, we partner with our clients to fully understand the needs of each remodeling project and only install the finest premium products from names you can trust – all while offering world class service at an affordable price! Our project management team, expert craftsmen and install teams will work to ensure your exterior renovations are completed on time, on budget and surpass expectations. We pride ourselves on our quality and integrity, as well as, our ability to provide you with the best products on the market. We are dedicated to making sure all of our customers are completely satisfied with our services – our numerous industry awards and high customer referral rate are a testament to our commitment to service excellence. Carolina Exteriors is a James Hardie® Elite Preferred Contractor, a CertainTeed ShingleMaster™ Contractor, an Angie’s List Super Service Multi-Year Award winner (multiple categories), a member of the National Association of the Remodeling Industry (NARI), GuildQuality Guildmaster Award Winner for Service Excellence and perhaps our biggest achievement to date, induction into the Remodeling Big50 (recognizing the Top 50 contractors in the USA). Let’s face it—home improvement is an industry with a bad reputation. Shoddy workmanship, broken promises, and disappointing results are all too common--even with siding and window installation in Raleigh NC. That’s why no one was surprised when I left the corporate world to fulfill my life-long love affair with remodeling. Even though the industry is full of fly-by-nighter contractors and here today and gone tomorrow installers, I was undaunted—I knew remodeling did not have to be done that way, but rather could be done with INTEGRITY. My 25 years of experience in corporate finance and planning uniquely qualifies me to make recommendations that will actually save you money. Often times, I am able to make prudent recommendations to my clients that enable them to spend less than anticipated, while beautifying their homes and making them more energy-efficient with low or no maintenance exteriors. How is this for stress-free? We are in and out on our first appointment in less than 30 minutes, rather than the 2 to 2 ½ hours that most Raleigh contractors put you through. Once we’ve understood what you are looking for and gathered the information we need, we’ll make a second appointment to show you a value-for-value recommendation… and why. (This is my favorite part. I love explaining how our products are great, and how they can improve your life and save you money.) After that, you decide. Many contractors in Raleigh pride themselves on “one-call closes.” If you want to buy from us after our first visit, wonderful! But, if not, that’s okay, too! No arm-twisting… Ever. Most contractors in this industry only offer a 1 to 5 year labor warranty, and some won’t offer any warranty at all. We are so confident in our installation that we give you a Full 10-year labor warranty on top of any manufacturer’s warranties. If we sound like the kind of Raleigh home-improvement company you’d like to do business with, we’d be honored to schedule a consultation and give you a quote. We promise to always be respectful of you and your time, and that the sales experience will be stress-free. And, finally, when you end up choosing us for your home improvement project, we promise the entire process will be done with Excellence. Thanks for the opportunity to serve you! For over 20 years, we have been providing the highest quality home improvement services. We are the area's only Owens Corning preferred contractor, using Duration shingles with Surenail Technology, and Metal Roof Experts offering Advantage-Lok® Standing Seam complete metal roof systems. Whether your project involves an entirely new roof, or just a small window replacement, no job is too big or too small. No gimmicks - just quality! At O.C. 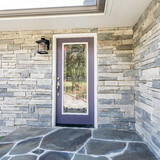 Taylor, we specialize in smart exterior solutions that keep your home looking and functioning its best. Our highly skilled craftsmen are experienced in all facets of home exterior remodeling and repair to keep your home in tip-top condition, maximizing value and curb appeal. Our company has been in business, serving the Raleigh and the Greater Triangle since 1998. We specialize in roofing, siding, gutters and exterior carpentry. Rain-Go Exteriors has an A+ rating with the BBB and is a proud recipient of the Angie's List Super Service Award for over 7 years. The teams of Rain-Go believe in completing a quality job with attention to every detail. We prepare, construct and clean up after all projects are completed. We stress that our goal is to deliver a first rate job that all our valued customers will love. You can believe that we will complete your home or businesses project to the utmost satisfaction. We are an experienced and insured company with professional in-house crews to provide quality home renovations. 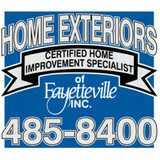 We specialize in window, roofing and siding replacement. We will do our best to assist you in the renovation process. Contact us today to learn about our fiber cement ColorPlus siding, energy efficient windows and lifetime roofing shingles for homes in Raleigh, Durham, Chapel-Hill and all of the surrounding areas in Central North Carolina. If you need siding in Raleigh, you've come to the right place. With all of the Masonite siding problems in the area, Built Strong Renovations is here to offer James Hardie fiber cement siding. Additionally, when you need new windows that can transform your home in Raleigh, Durham, Chapel-Hill or throughout The Triangle Built Strong Renovations can provide you the right solution. Choosing to renovate your home is a big decision. With many options and individual circumstances to consider, we make renovating your home easier than you might think. Each of our customers receives dedicated service and attention to detail every step of the way. We offer in-home consultations and free estimates. We make visits during normal business hours and also into the evening time in order to best accommodate your schedule. We look forward to helping you, whether you would like your roof replaced, windows installed, new siding or a whole exterior renovation. If you have questions about our remodeling or installation processes, please feel free to ask! Professional Service: We have been trained in all types of siding, roofing and window installation techniques. We have dedicated crews who are specialized for their individual trade. Since 1986 Flanner Contracting Inc. has been improving homes and businesses in Eastern North Carolina. A broad range of products for the building industry The VMZINC brand name represents a full range of Titanium-Zinc products in the form of: Sheets Coils Manufactured products and systems. This extensive range of products and systems reflects our wealth of professional and practical experience and the variety of climates and standards that VMZINC is designed to meet world-wide. To meet your every requirement, VMZINC is available in the following applications. VMZINC products and systems can be divided into four main areas of application: VMZINC Facade VMZINC Roofing VMZINC Rainwater systems & accessories VMZINC Ornaments VMZINC is the international brand name of rolled zinc products manufactured and sold by the Building Products Unit of the Group, Umicore. Umicore is an international metals and materials group. From refining, transforming and marketing to recycling a wide range of metals, minerals and related products, Umicore operates world-wide and meets its customers' requests through a network of sales subsidiaries in over 30 countries, including Mainland China, Hong Kong, Taiwan, Malaysia, Thailand, Japan and Korea. Its industrial activities are centred on 4 main groups : Zinc, Advanced Materials, Precious Metals Services, Precious Metals Products and Catalysts. The Building Products Unit belongs to the Zinc Group. We are locals who offer American craftsmanship at a affordable price. We offer a lot of talent and show nothing but respect for you and your property. We are fathers and husbands and know how important it is for your family to be safe and free of any toxic behaviors. No smoking cussing is not allowed. Your family will respected when we are on your job. Techniques/Forward Thinking We use forward thinking in our repairs using primers, sealers, and other materials and methods to make sure our repair looks good for years after we are done. We also use things like moving blankets, cardboard,craft papers, blue tapes. to protect your house while we do repair. Nothing is gained if we do repairs and damage other things like carpets. Experience We have lived and worked in Raleigh 30 plus years and know what a person expects and wants a repair to look like. We are fully insured and do "perfect" work. We have a large tool collection and do not attempt a job without the right tools. You must know that a under-paid under-tooled contractor is a recipe for a bad repair. 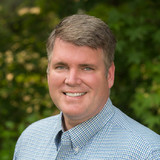 The owner/operator, Christopher Schlitt has worked with major remodeling, building and disaster restroration companies such as McDonald York, York Simpson and Underwood, Acousti Engineering, Sparkles Renovation Disaster Relief, Chuck Shomo Renovations and Repair,Bill Clark Builders,Remax, Drucker and Faulk. We are the "TOP DOG"... Top Dog Siding is a home remodeling company specializing in siding, roofing, window and door installation. Owned and operated since 1995 by Michael Hinton, we proudly serve the Raleigh/Smithfield and surrounding areas such as Wilson, Rocky Mount, Middlesex, Princeton, Clayton and Zebulon. Whether you are looking to beautify your home, increase your home's resale value, save money and energy or reduce bills, Top Dog Siding continues to bring you the best offers, the best products and the best customer service year after year. The siding of your home is a hugely important factor when it comes to first impressions; a damaged or mismatched exterior can cast a negative light over a property’s entire aesthetic! If you need new siding installed, or your exterior is in need of repair, repainting or replacing, a Forest Hills, NC siding and exterior contractor can help you out. What types of siding services do Forest Hills exterior contractors provide? Wood siding needs more maintenance than less-expensive, low-maintenance vinyl siding, but with proper care it will outlast vinyl siding, which can fade and crack over time. Your Forest Hills, NC contractor might also suggest fiber cement siding, which is fire resistant and termite-proof and can come with a warranty of up to 50 years. 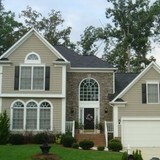 Find siding and exterior contractors in Forest Hills, NC on Houzz. Narrow your search in the Professionals section to Forest Hills, NC siding and exterior contractors. Find out how long a Forest Hills, NC exterior remodeling contractor has been in business, view portfolios, read reviews and get contact information.